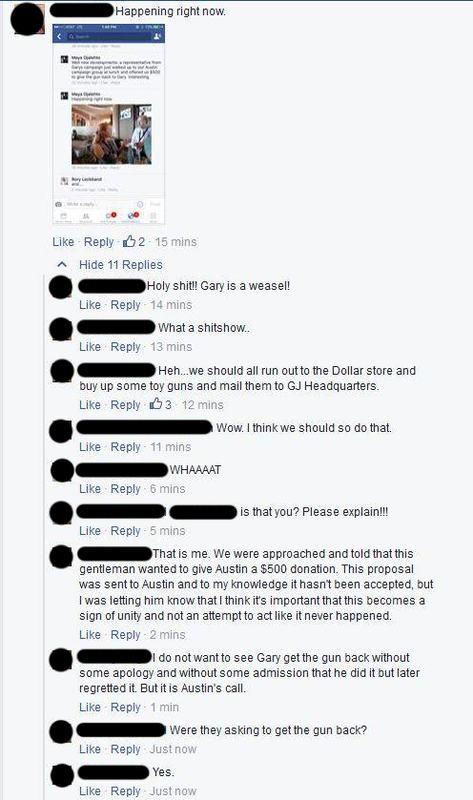 Last night we reported that Gary Johnson was witnessed to have thrown out the flintlock pistol Austin Petersen gave to him as a symbol of unity, and that the gun has since been returned to Petersen. But the story doesn’t end there, as developments continue to unfold. 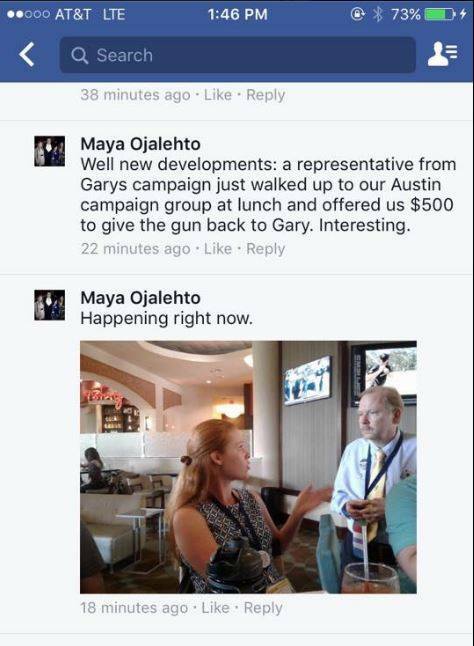 The Gary Johnson campaign then approached the Petersen camp this afternoon and offered them $500 to have the gun back and act like nothing happened. The Petersen camp declined the offer. This story has been verified by numerous delegates at the convention, as well as two state coordinators for Austin Petersen.